Every once in a while, I have the urge to read something outside my usual genres. You know, to mix it up. So when I saw SPUTNIK'S CHILDREN on Netgalley, I thought I'd give it a try. It definitely satisfied my craving for something new and I can't wait to tell you all about it! Cult comic book creator Debbie Reynolds Biondi has been riding the success of her Cold War era–inspired superhero series, Sputnik Chick: Girl with No Past, for more than 25 years. But with the comic book losing fans and Debbie struggling to come up with new plotlines for her badass, mutant-killing heroine, she decides to finally tell Sputnik Chick’s origin story. Debbie’s never had to make anything up before and she isn’t starting now. Sputnik Chick is based on Debbie’s own life in an alternate timeline called Atomic Mean Time. As a teenager growing up in Shipman’s Corners — a Rust Belt town voted by Popular Science magazine as “most likely to be nuked” — she was recruited by a self-proclaimed time traveller to collapse Atomic Mean Time before an all-out nuclear war grotesquely altered humanity. In trying to save the world, Debbie risked obliterating everyone she’d ever loved — as well as her own past — in the process. Or so she believes . 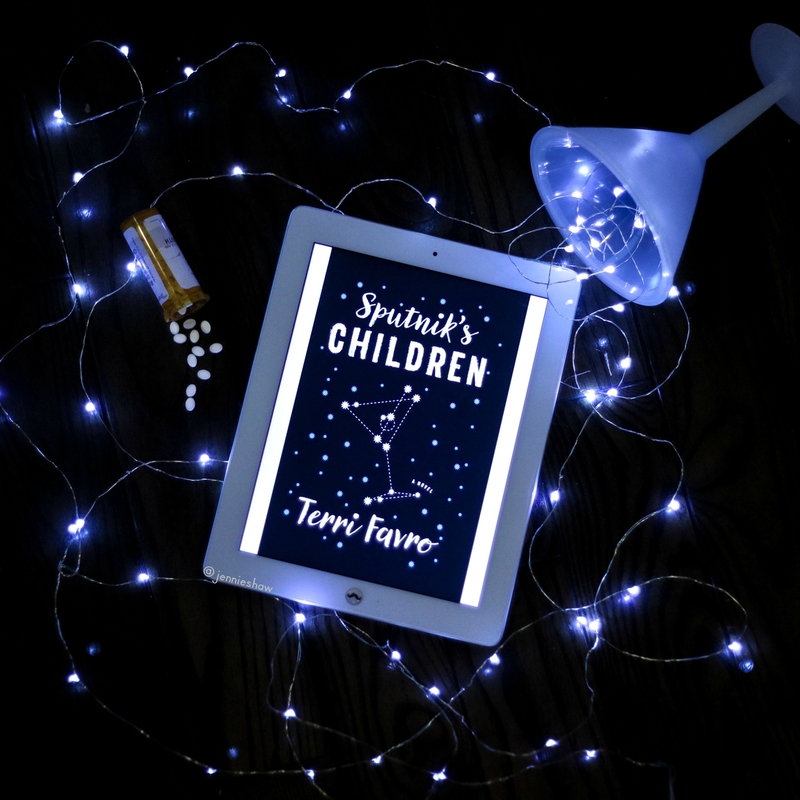 . . Present-day Debbie is addicted to lorazepam and dirty, wet martinis, making her an unreliable narrator, at best. As much as Debbie is described as an unreliable narrator, I didn't find that to be the case. She was certainly a self-medicated narrator, but I always believed her, and that was important because the story had a lot of uncertainty. Without Debbie's charmingly sharp point of view, I'm not sure I would've been so engaged. Because let me tell you, even when the science parts went over my head, I was turning pages as quickly as I could, desperate to know how it would turn out. At times, my curiosity felt downright overwhelming. I mean, the story had time travel, alternate worlds, a mysterious stranger, and a giant ticking clock, so I never had any idea where the plot would veer to next. For me to have that level of investment, the writing has to be on point, and holy hotcakes, folks, Terri Favro can write. Her prose was layered, informative, wry, political, and it blew my frickin' mind. A perfect balance of charming metaphors and witty one-liners, she blended facts with fiction to the point where I began to question my own reality. The concept seemed far-fetched to me in the beginning, but now I'm not so sure. Like, are there other versions of reality? Do we have dopplegangers someplace else, who would consider us the dopplegangers of them?! Do they have bombs? ARE WE GONNA DIE?! 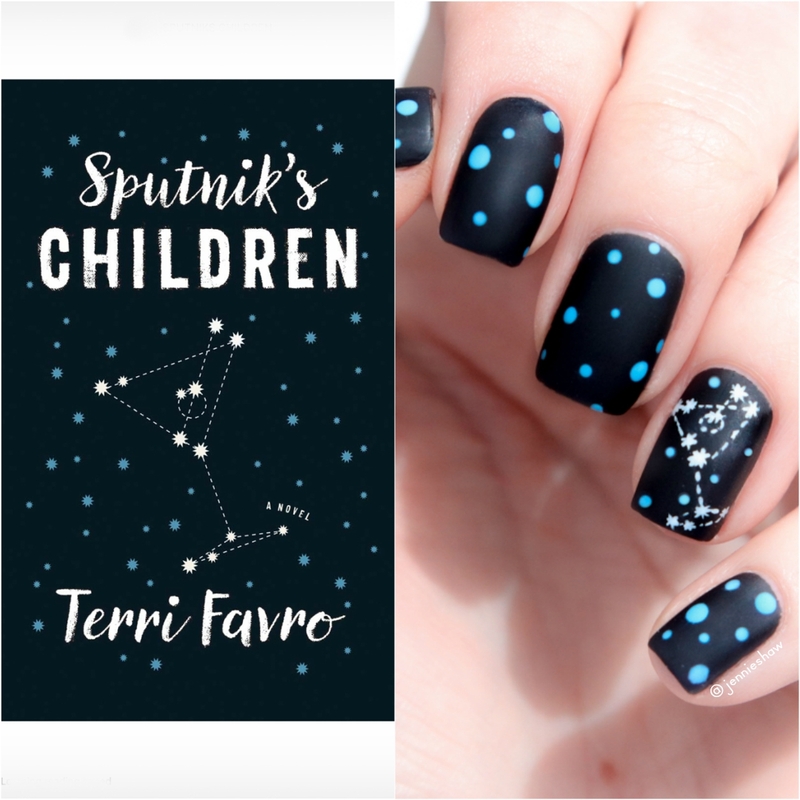 Yes folks, SPUTNIK'S CHILDREN will stretch your mind as it entertains you, which is a pretty cool experience. I'd love to get more detailed here, but it's a book you should experience for yourself and I don't want to spoil any of the crazypants surprises. Also, if you're Canadian, you'll love all the sly references to the great white north, from du Maurier cigarettes to Mark's Work Warehouse. I know I sure did! 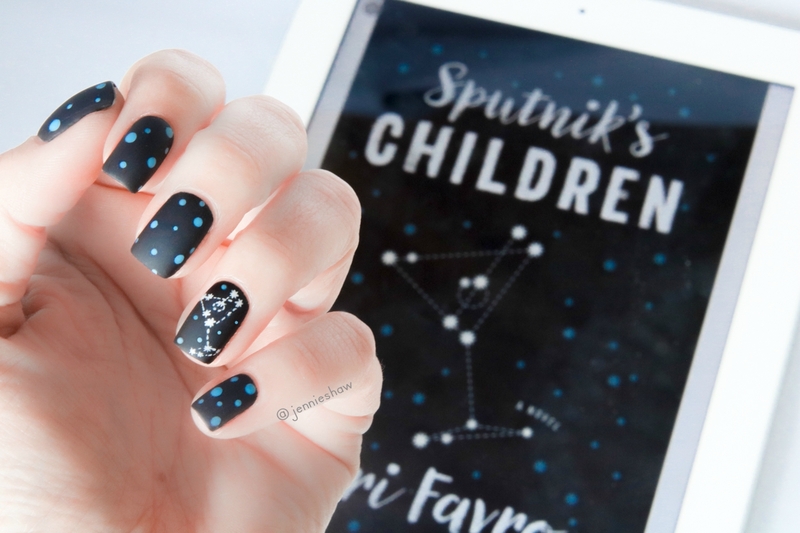 So if you're into science fiction with a Canadian flare, I highly recommend SPUTNIK'S CHILDREN. It's the sort of book you have to invest in, as a reader, because the details are important, but it's worth the effort. Every sentence is meaningful. And hey, it doesn't hurt that the plot is straight-up bananas and Debbie is a wholly unique character who should probably lay off the martinis (even though she deserves them). What more could you want? Haha! Thanks to Netgalley and ECW Press for the review copy!